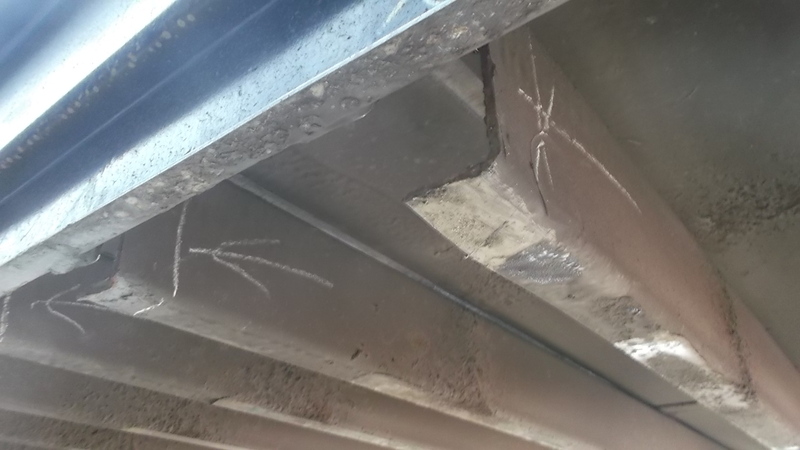 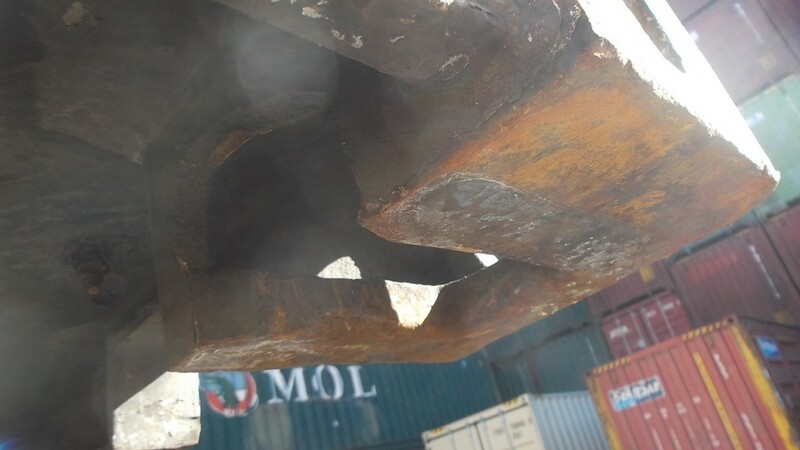 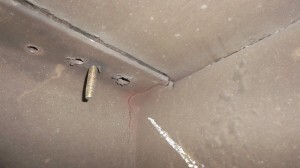 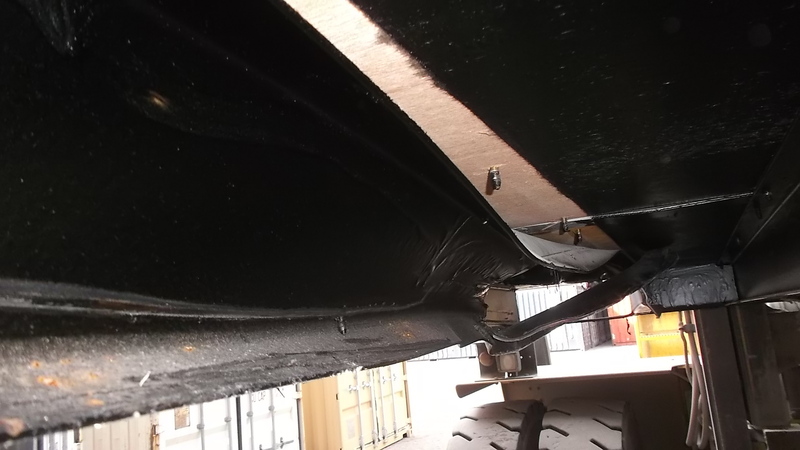 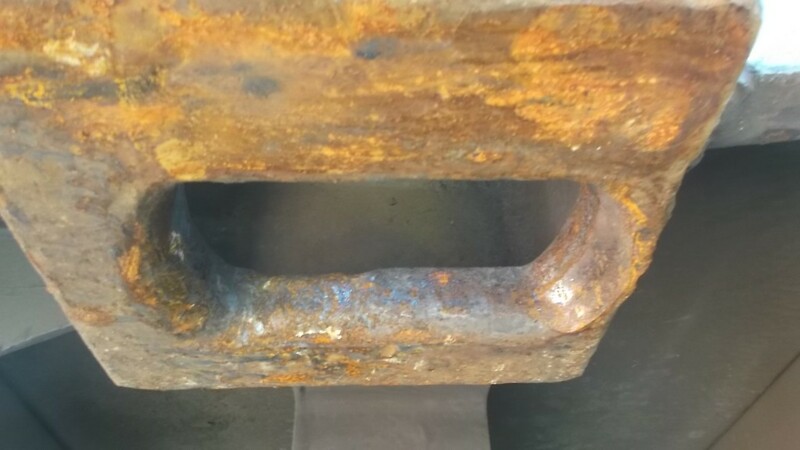 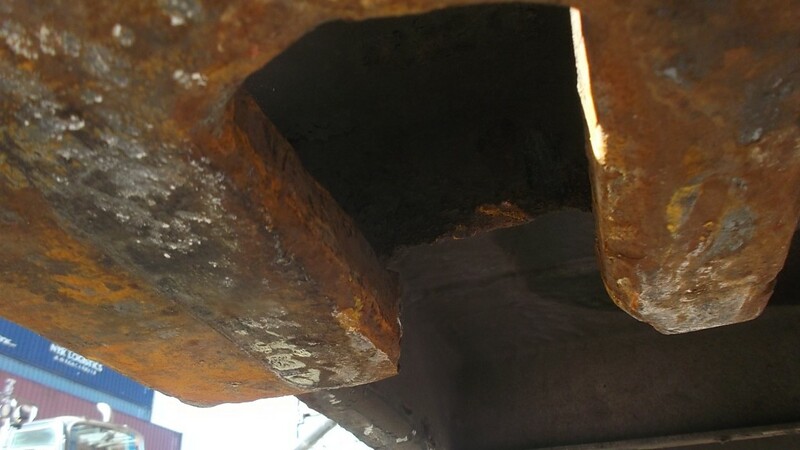 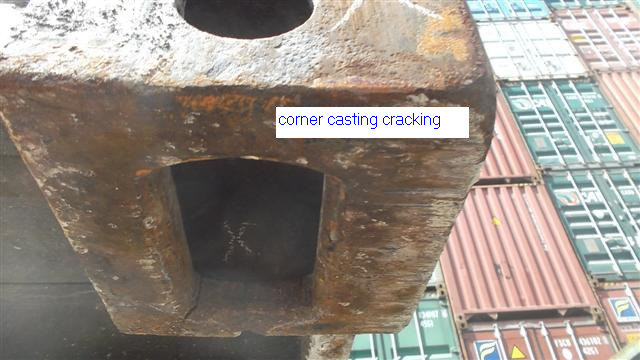 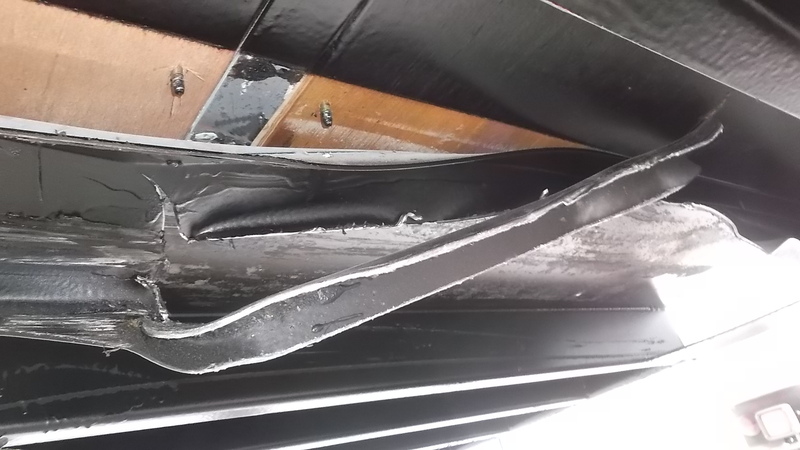 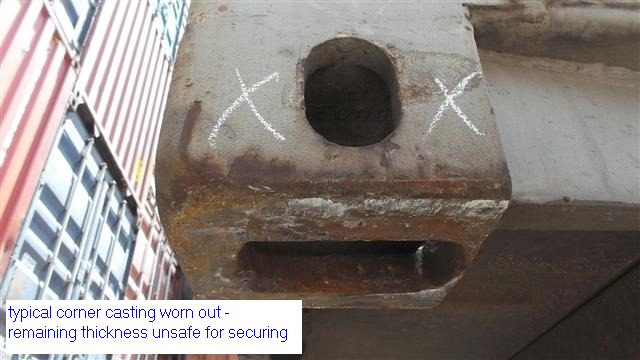 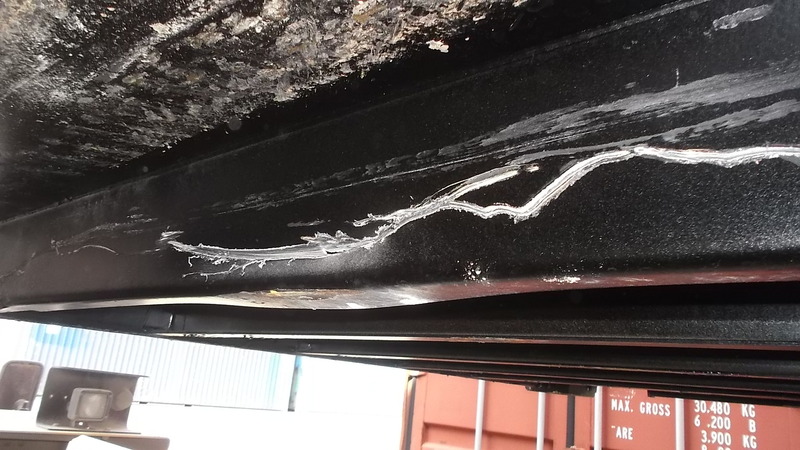 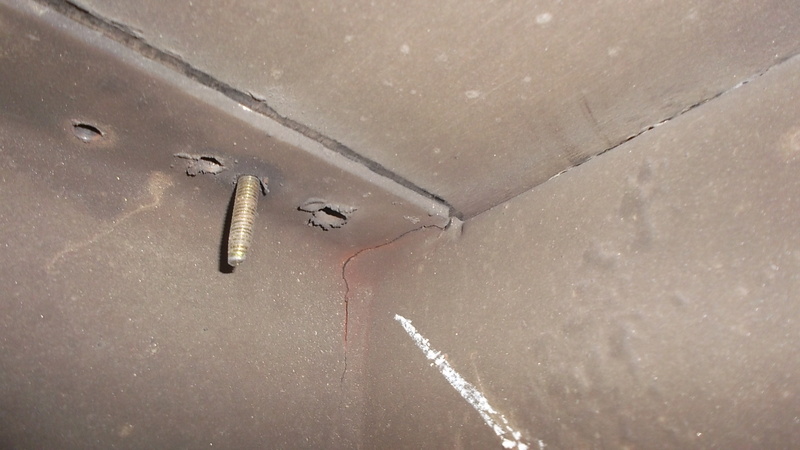 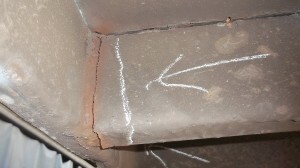 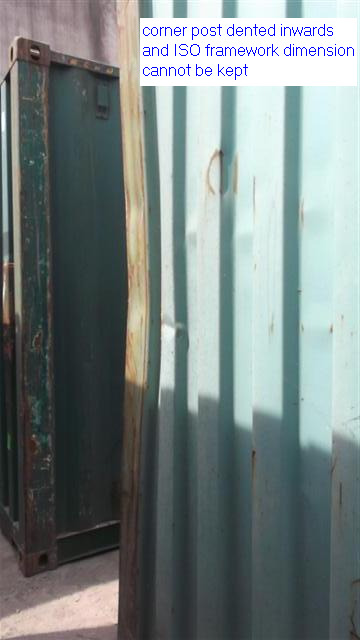 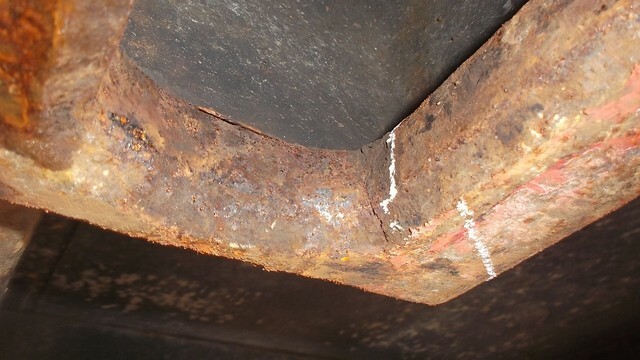 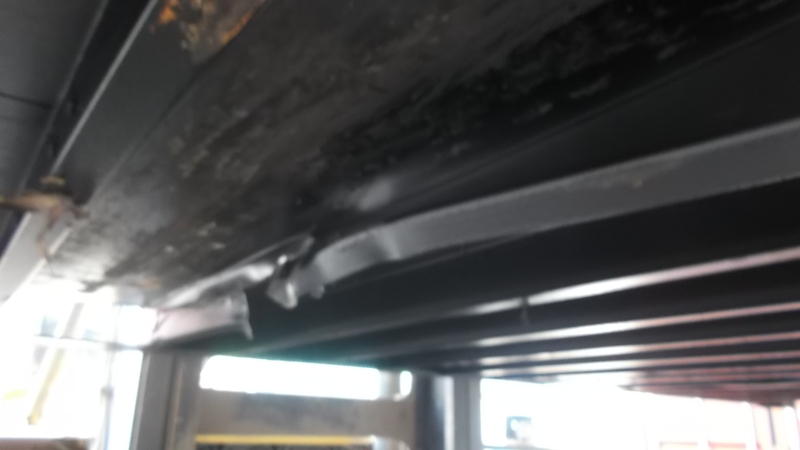 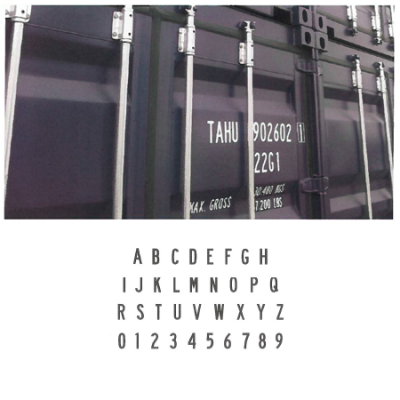 Photos are taken in a 48ft container, it is clear to see that, when the structural cracking just happens it always starts from hairline cracking at the top or bottom joint of crossmember/side rail, at this stage, many clients will say put them as NO ACTION TAKEN, then the cracking would extending throughout the entire web section (see stage 3 photos), finally completely separated each other. 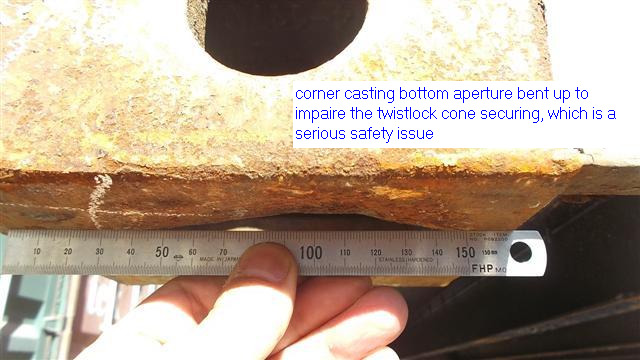 In this typical case, the damage is definitely NOT resulted from external impact force, a structural stress concentration is a main cause. 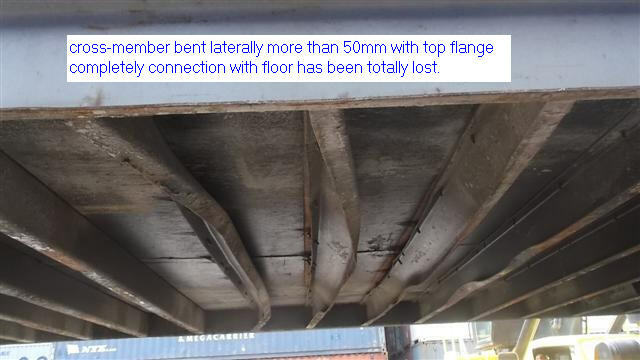 Cross member bent laterally more than 50mm with top flange completely connection with floor has been totally lost. 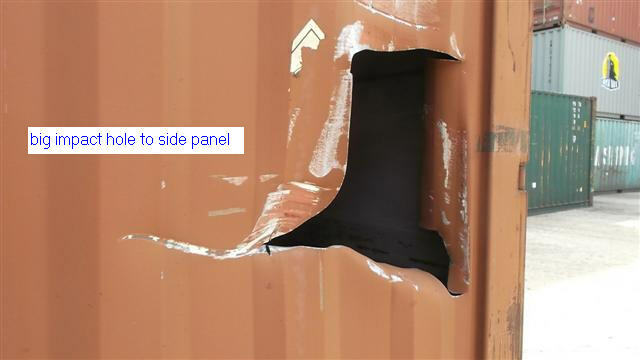 Hole in side panel caused by impact. 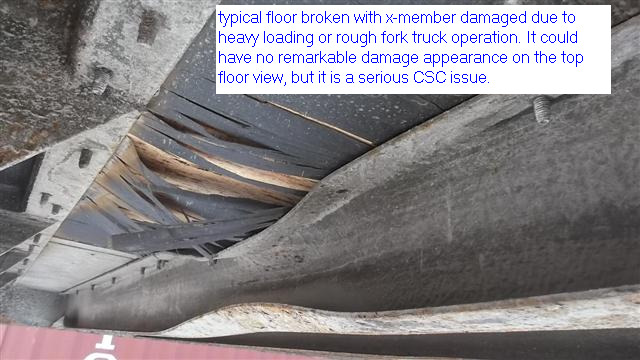 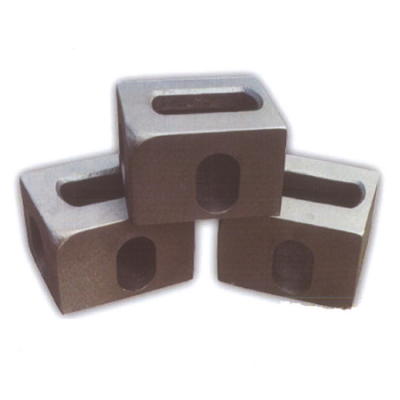 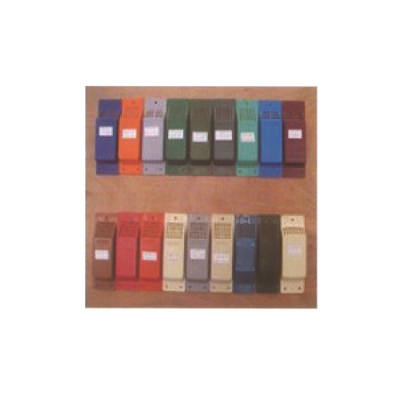 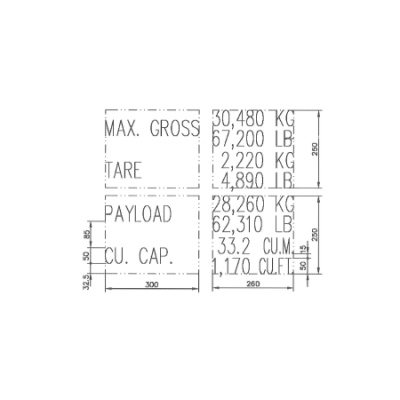 Typical floor broken with x-member damaged due to heavy loading or rough fork truck operations. 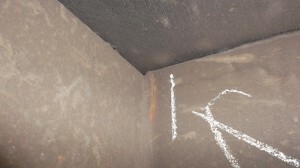 It could have no remarkable damaged appearance on top floor view, but it is a serious CSC issue. 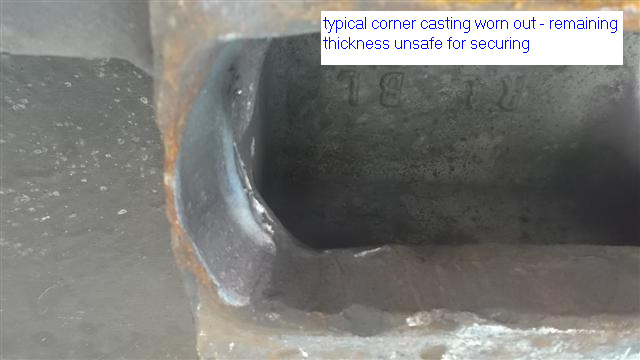 Corner post dented inward and ISO framework dimension cannot be kept. 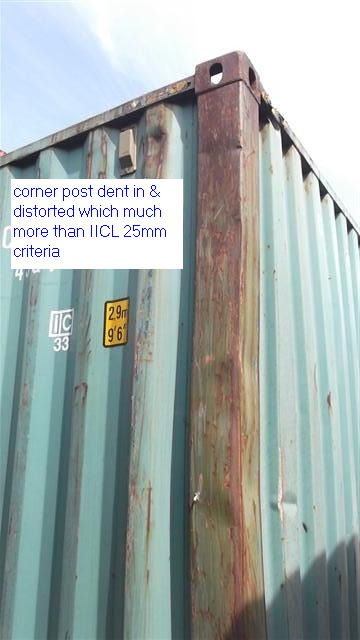 Corner post dent in and distorted more than IICL 25mm criteria. 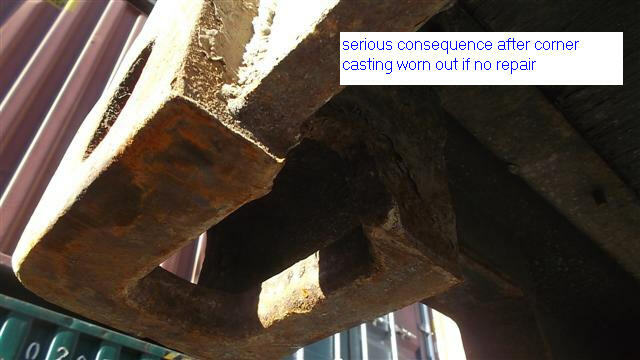 Serious consequence after corner casting worn out if no repair.